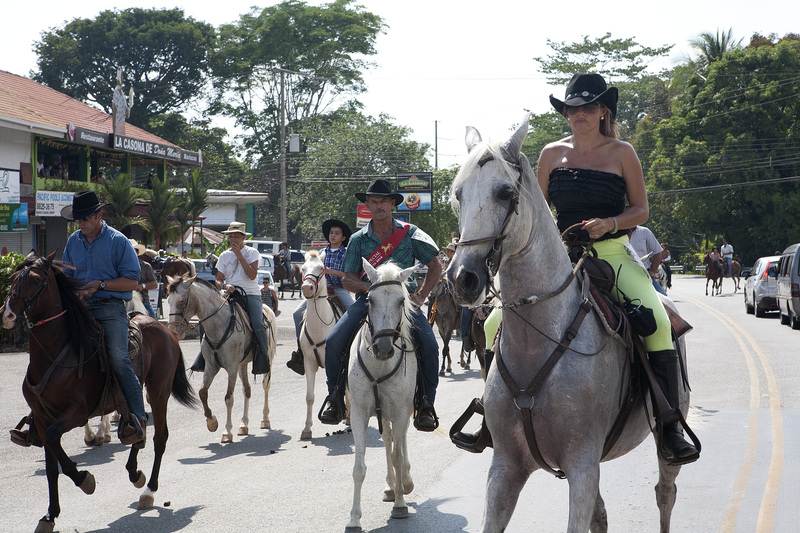 Every year in San Jose, the day after Christmas is marked by one of the most popular events in Costa Rica. 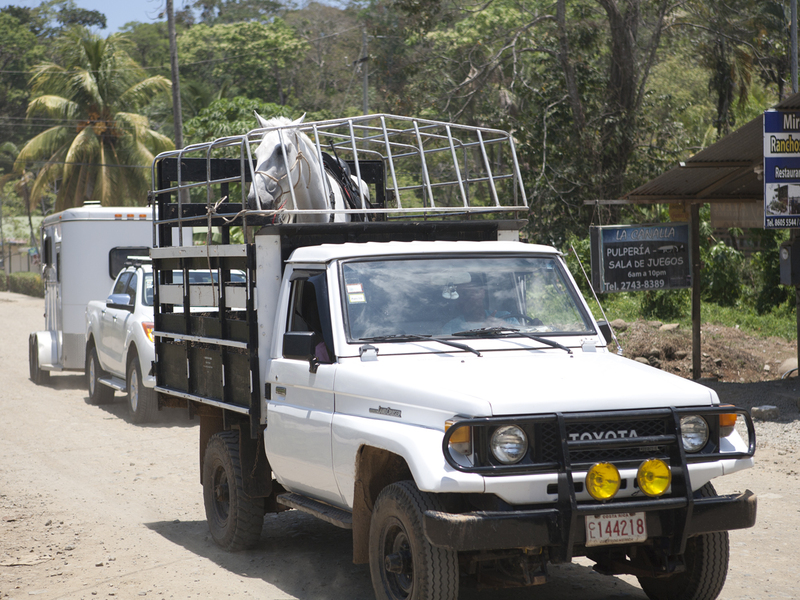 It is called “El Gran Tope Nacional” and is considered part of Costa Rican folklore. 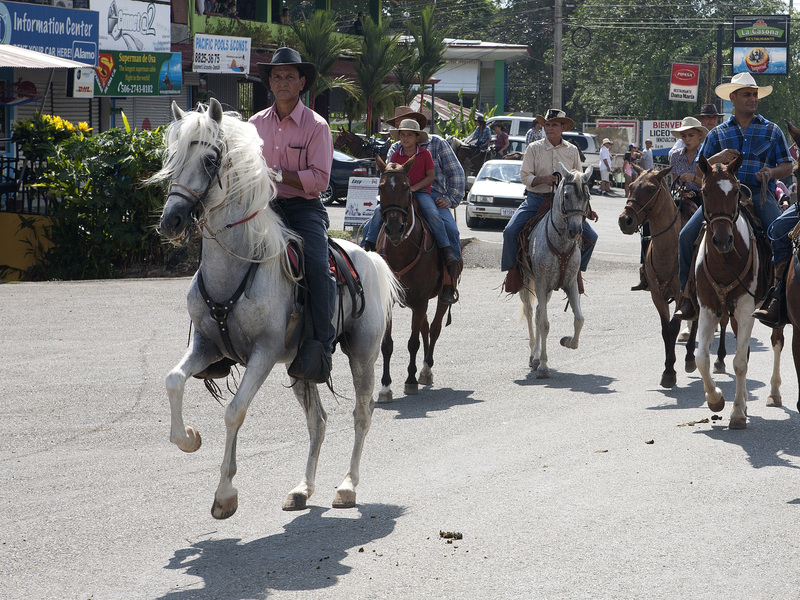 El Gran Tope is a parade honoring riders while showing off their fancy horses and equestrian finery. In addition, during the first few months of the year, similar Gran Tope events are held at various smaller communities around the country. This year in the Southern Pacific region it was held on Easter Sunday in Uvita, a small pueblo about 20 minutes south from where we live. Since Ellen is still in the States, I thought it would be a nice way for me to spend my Sunday afternoon. So, I grabbed my camera and went to see what it was all about. This tradition goes all the way back to the turn of the 20th century. During that time the United Fruit Company imported cattle that they used in the banana plantations. When the cattle arrived to the ports the company would send riders to round them up (“topar” in Spanish). As the years passed, the Tope became a parade where the riders would show off their most prized possessions to the public. 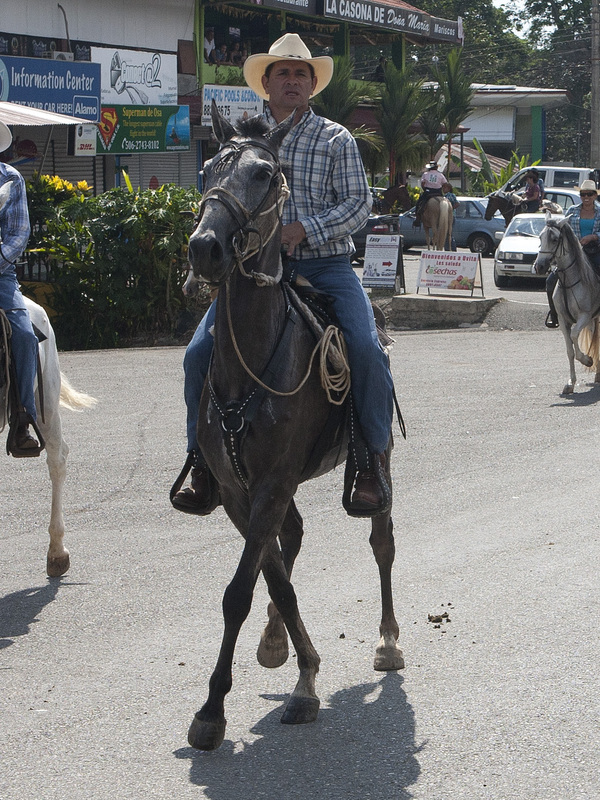 The first Tope took place in 1958 and since then it has become a tradition in Costa Rica. 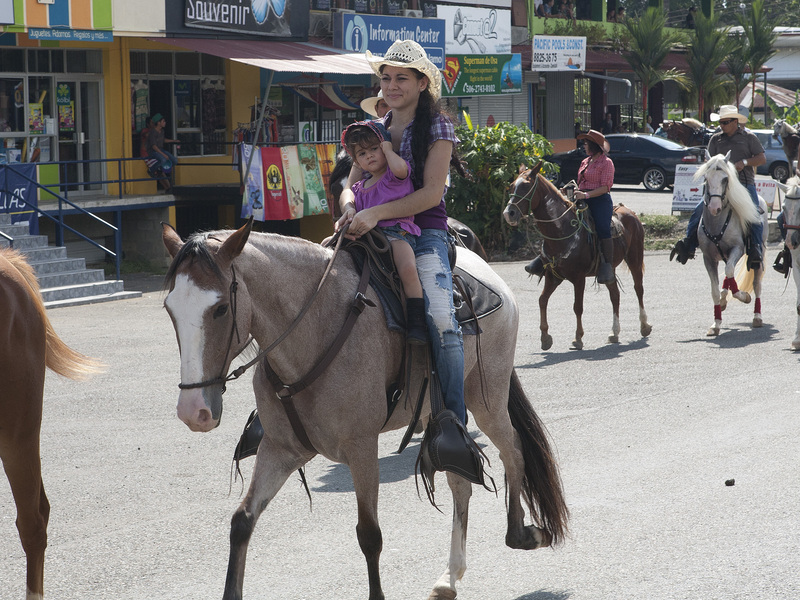 Popular horse breeds in Costa Rica include the Creole, the Iberoamericana, the Paso Fino and the Pure Spanish Breed. Many of these horses exhibit fancy, high stepping gaits, which I understand are actually natural gaits some breeds are born with. 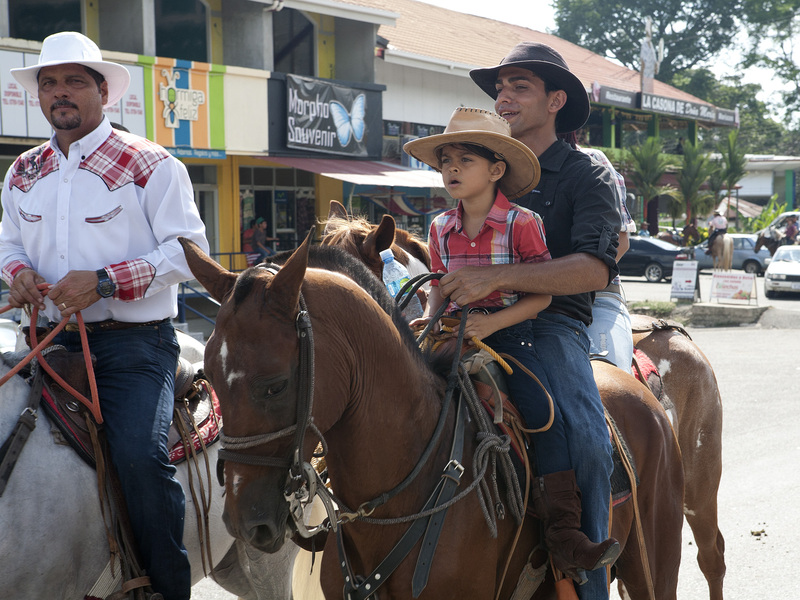 True to form in Costa Rica, the parade didn’t start on time. It was advertised to take place between 11:00 and 1:00, but it wasn’t until shortly after 2:00 pm that it got underway. (Hey, more time to have some lunch and drink some beers!) 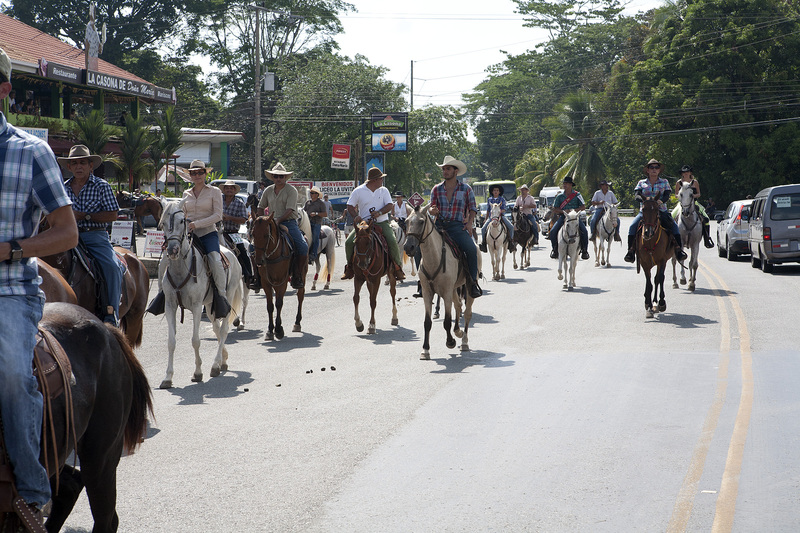 There were at least 100 horses and riders taking part in the event and it looked like everyone was having a great time. I know I did! ← A Visit to the U.S.